The world is full of mysteries. Strange, seemingly unexplainable events occur more often than we may realize. A young boy may catch an illness no doctor can explain. An office may catch fire for no apparent reason. And perhaps, someone may die a sudden and unexpected death – their bodies blighted beyond recognition. Some might believe that these events are merely freak accidents. However, Ye Shaoyang knows otherwise. The youngest inner disciple ever in the prestigious Daoist Maoshan Sect. Talented, handsome, and a hillbilly from the mountains who still uses a brick phone in the modern age. Follow the tale of our quirky, snippy, but honorable hero, after he finally descends the mountains after fifteen years of being out of touch with normal society. Read on as he combats horrifying apparitions, charms ladies, and finds himself in all sorts of trouble along the way! A story that delves into Daoism, Chinese sorcery, and the supernatural from Asian mythology. The story seems to be eventually heading towards the same objective. Mindless group of words to pass away time and see as, with a snail's pace, the original setting of the 'modern world' will fade away as cultivators and more 'cultivators' would overtake and suddenly the protag would go to a 'higher plane'. Generic in every sense of the word. I want to be surprised by where the author takes the story. One of the best novel I have ever read. The ghosts and spirits in this novel are so perverted, that you can't stop laughing. The translator has done the great work. This is such a great novel, I don't know why this is still not popular, compare to most garbage novels out there. It completely justifies the Horror tag, sometimes it really scares the sh*t out of me. 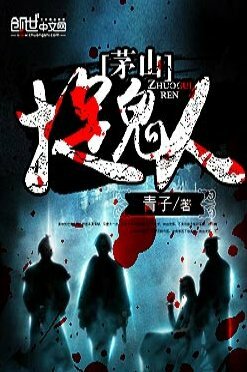 It has romance, comedy, action.. Everything the best and the horror is something new stuff which I have never seen in Chinese novel.... more>> IF YOU GUYS ARE BORED OUT OF ROUTINE sh*t, THIS IS THE NOVEL YOU NEED TO PICK UP!! I loved this kind of novel, it was the first time I read a supernatural novel. The MC was saved by an old man from a spirit-hunting sect, where he lived throughout his childhood and part of his youth, when he left that sect he is like an old person who knows almost nothing about technology or in general about the modern things to which we are accustomed. I remember a TV series called Supernatural that I watched as a child with this novel reminds me of the thrill of seeing how they solved cases. This excellent novel is unique and different from the usual Cultivation/Xianxia Fantasy novels. It is set entirely in the present day and the main character (MC) is a college student who happens to be a powerful sorcerer and an inner disciple of the Maoshan Sect. I see this as the Chinese version of the American fantasy horror television series 'Supernatural'. The story is sub-divided into various mysteries or cases involving spirits, ghosts, undead, demons, supernatural beings, afterlife, etc which the MC investigate and resolve with support from his sidekicks. According to... more>> the website, the Chinese novel has 2500+ Chapters (ongoing). Since we are currently at chapter 120, we can expect many more interesting mysteries ahead. I really love this story! It's got everything: horror, fantasy, martial arts, magic, romance, comedy, drama, history, supernatural tussles, and great characters! I love how relatable the main character is. Even though he spent his childhood and young adulthood in deep spiritual pursuits and intense training he still wants what the rest of us plebs want: a happy and comfortable life with someone to love. He is a commendable hero who does the right thing even when he tries not to and isn't afraid to make sacrifices for the sake of... more>> his friends. His sidekicks are of varying character with the irritating but loveable oaf Xiao Ma, the clever but kindly Brother Guo, the badass but upright Captain Xie Yuqing, and a myriad of other side characters who have their own backstories and roles to play. Evil lurks within unbeknownst locations, as they secretly garner power to plunge the mortal world into chaos. But he has another identity – an inner disciple of the Maoshan Sect. Born with an exceptional body, he trains in the arts of Daoism. This powerful sorcerer will hunt down spirits, demons, specters, and the undead while conquering the hearts of beauties along the way! I been reading this for awhile now so far I can just say.."meh =/ what ever" this is the feeling I have reading this. If your into Bloody murders, Heavy Gore, Love's Zombie (I love Zombies), never ending blah blah blah of good old demons, then this novel is for us! All I can say is this like reading detective Conan X zombies X demons, MC himself is not OP which make's this novel unique, He only pass by because of the help of his sidekicks (some of them are your good old beautiful girls). I really enjoy reading this novel. The MC's paranormal encounters really keep me reading and you can really learn some interesting trivia about the other culture when he deals with each case. The MC has not been in touch with modern civilization for the majority of his childhood which sets up some funny interactions during each chapter when he encounters something he does not understand. Pacing is slow, it take a lot a chapter to solve a single ghost case, I feel I waste a lot of time reading this. With a lot of 5-star reviews, I was expecting a good novel but reading this novel feels like a grind. I check the reviewers, most of them only posted review about this novel, so I guess a lot of them are fake. It's not that bad, it just boring. MC that deal with his problem with clever way and his sidekicks that I though they kind of a bit annoying for keep asking question but all those question actually educate the readers. Dont tell me that all reader actually know chinese ghost, shamanism, and folklore. The author use side character to educate reader instead of using explanation paragraph like most novels did. It's worst one I never read. Every time the MC have to explain to the normal people what he are doing and he need protect the meddlers on the place. Then, why is his 'friend' always doing in those exorcisms if he don't have any spiritual power? The common sense in this world is very weird. There are few people who know the cultivators' existence but the MC spread easily his secret to a simple roommate without reason and involve him to hunt spirits. If every cultivator do as him, the... more>> people should know their existence for a long time. Although some villager believe them existence, in the city someone believe that their are fake or some swindler, others know them but don't think they are amazing. This common sense change everytime the MC meet a new case. Then that police woman is bird brain who don't understand her position when she talk with MC. It's a great novel and one that I can relate. The MC is not stupid but is not overly smart. He makes mistakes at times because he is human too. My first time reviewing and don't want to say much, but the novel overall is great so far. Its a good paranormal story. I love reading it. Sometimes I can relate to my culture or learned about the believe or life of other cultures. Anyway it is something different from stuffs I hv been reading so it's a good change. Even though the MC is skillful daoist, I feel like he is like a normal young man that sometimes blundered here and there. There are kindness and sense of responsibility of his work against spirits. Probably because I am tired of all powerful type MC with bloodbath left and... more>> right. An interesting novel. This novel talks about the tao as well as the different ways that are used against the paranormal. There are also detective work by the MC to find different spirits. A must read if you are a fan of the paranormal and mystery. Although the start was hardly understood, the novel picks up after chapter 6. The story's pacing is slow (like any cultivation novel) but that flaw gave the plot to be more realistic and defined. It gives you a glimpse what is to be experienced on a paranormal situation and how to deal with it. The MC is likable, he is neither too arrogant nor too humble, therefore, he fits as a detective-like character that is the plot of the story. A very interesting story and I really enjoy when reading this novel. I had learn a lot about Taoist exorcism stuff from this novel and wish to see more battles that MC will face in the future. a very very interesting novel in the middle of all game or movie horror related novel. like refreshing wind in the middle of scorching desert. this is what this novel is. This is a novel that tells us a story of a Maoshan spirit hunter / Chinese exorcist (daoist priest). Do you remember Lam ching yin daoist priest from the old chinese vampire/ghost movies ? It's very similar to that, the novel is fast paced with action, so it's never boring. The translation is good, plot is good, character development is kinda overshadowed by the action. The enemies are also pretty cool. It's a good read, but it's kinda mystery mixed with horror and action, so some people may not like it.